US $4,099,500	Need Finance? Need Insurance? Cheoy Lee Bravo 78. Buily to please the experienced skipper. The spacious boat deck provides space for a 15' tender, and there's still room for chairs or water toys. Whether its chateaubriand or hot dogs, chefs are going to love the barbecue console. Take a look that hardtop... Its beautifully finished and more than 21' long. Stainless steel handrail around the entire bridge windscreen. The bridge overhang provide sun protection for the salon as well as rain protection on the decks. And it makes the bridge really big, too. The side decks are comfortably wide and protected by high bulwarks topped with stainless steel handrails for safety. A flush pilothouse pantograph door provides easy access to the deck for shorthanded cruising. Triple heavy duty pantograph windshield wipers with washers. Beautifully welded rails of 316 stainless steel surround the deck. Available reclining lounge seats built into foredeck. Two large flush deck lockers on the foredeck. Hawse with pivot style anchor pulpit makes for easy anchor handling. Large oval ports provide plenty of light and a great view for the master and VIP staterooms. Sturdy rubbing strakes capped with stainless steel protect the hull from pilings. Boarding doors in bulwarks on both port and starboard sides. Spacious after deck with dining table and wet bar for entertaining. Swim platform makes boarding easy, and allows direct access to engine room and crew quarries. You're an experienced yachtsman. We're an experienced yacht builder. It's a perfect match. You're an experienced yachtsman. We're an experienced yacht builder. It's a perfect match. When it comes to equipping the Bravo 78, we know you won't accept "good enough". Neither will us. Evey piece of equipment and every system on the Bravo 78 was carefully chosen not for price, but for reliability and suitability. For US clients, Cheoy Lee acquires everything from bow thrusters to door knobs, galley appliances to electronics, in the U. S. And then ships container loads to the boatyard. Have a problem with a battery? It has a U. S. Warranty so it can be exchanged at your local marine hardware store. Other markets also benefit from the same dedication to the selection of appropriate equipment. Remember that our name is Cheoy Lee Shipyards, so all of our experience with shipbuilding goes into each Bravo 78. Look behind our electrical panels to see a textbook example of seamanlike wiring. We use only 316 stainless steel, which is the highest grade for marine applications. We know that you're going to be adding equipment, so we pre-wire many areas to simplify installations. Fuel manifolds are clearly labelled and intuitive to use. Simply put, the Bravo 78 is built with pride and care for the experienced yachtsman by Cheoy Lee, the world's most experienced family-owned yard. Perfect for alfresco dining on the after deck, the beautifully inlaid teak table quickly turns into two cocktail tables with easy entry through the center. A spacious pump room under the foyer is pre-wired for a watermaker, and allows easy service to water heaters, vacuum and other systems. It's great for storage, too! Tired of hunting for jars and packages in galley lockers? Bravo 78 maximizes storage with this hidden pantry that slides out when needed. Located to protect the bridge from smoke, the stainless barbecue is an outside kitchen surrounded by counters. Grilled steaks? Yum! The engine room is arranged for easy accessibility, with clearly marked wiring and plumbing, safe walkways, and solid flooring. You crew is going to love their quarters, with a lounge area, mini-gallery, and spacious cabin... All finished to the highest yacht standards. We take pride in building the Bravo 78 for knowledgeable yachtsmen, who are able to see beyond the luxuriously appointed interior and the exquisite burled woods. You know what's really important, so you will appreciate our superior construction and engineering. We know you will come away impressed. Cheoy Lee has been building since 1870, and we have earned our legacy, one that will continue to grow over time. The Bravo 78 has classic lines that will turn heads in anchorages for years to come, with a crisp sheer line and perfectly balanced superstructure. What you can't see is underwater: a hull that is not just exceptionally comfortable at sea, but extremely fuel efficient. Inside, we created an elegant and contemporary layout with three large staterooms, each spanning the full beam of the yacht. No guest will ever feel like a second-class citizen on the Bravo 78! Every stateroom is bright and airy, with its own unsuited head and shower design for real people. The master stateroom is a relaxing getaway that befits the owner of such a yacht... But don't tell. You guests in the VIP suite will think you gave them the owner's cabin. After 140 years, we know how people use their yachts. The main deck of the Bravo 78 can be considered as two distinct living areas. The pilothouse includes the country kitchen with its comfy dinette and day head, making this a gathering place for family and friends. With a formal dining area and bar, the salon is perfect for elegant entertaining, and gently curved couches invite you to settle in for conversation or movies. We know you like alfresco entertaining, too, so the spacious after deck has an open air dining table and wet bar. Twin stairs lead down to your private "beach" on the transom platform, which makes boarding from dock or tender safe and easy. There's also access to the well-appointed crew quarters, complete with lounge and galley. We've saved one of the best parts of the Bravo 78 for last. "Huge" doesn't even begin to describe the full-beam flybridge with its oversize (more than 21' long) hardtop. 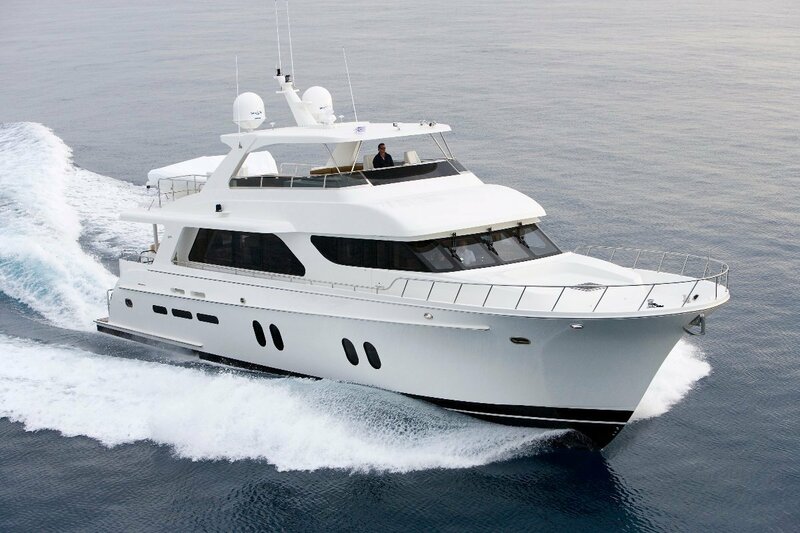 Underway or at anchor, you'll appreciate the built-in dinette and curved settee, and the full bar is a good place to keep an eye on the chef, who enjoys the outdoor galley with barbecue. Tired of going ashore in a teensy tender? 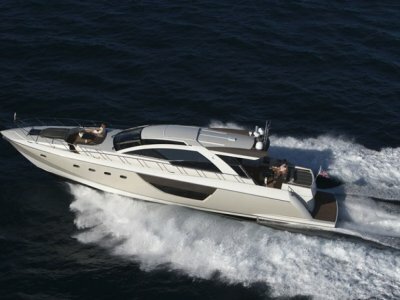 The Bravo 78 boat deck easily accommodates a 15' RIB..... And still has room for a party! Wait, that's not all! The foredeck is sculpted to receive large, comfortable sun pads or available reclining sun lounges, with safe access via wide side decks with high bulwarks. Now all you need is a cold drink with a little umbrella in fit, and you're ready to watch the world go by! You're knowledgeable about yachts, so take your time looking around the engine room. 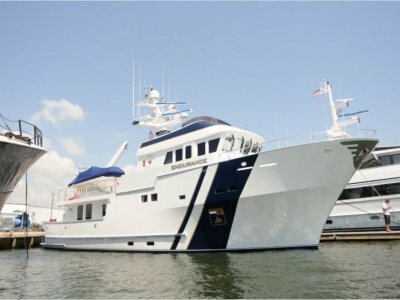 Cheoy Lee has a shipbuilding division, building everything from ocean-going ships to tugs for the Panama Canal, so the Bravo 78 benefits from professional mariners who won't tolerate anything less than the very best. They expect rugged construction, simple- to maintain systems, and seaworthy installations, and that's what you'll find on the bravo 78. 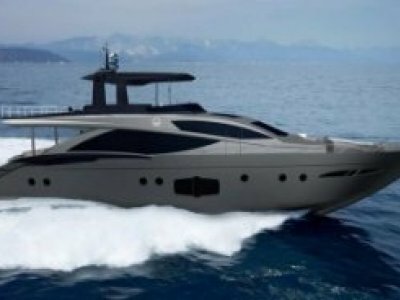 A truly great yacht like the bravo 78 isn't just about superior finishing, inlaid woods, stainless steel rails and fittings that are works of art, and sumptuous suede and marble work. It's about systems built to last and function under harsh conditions. It's about the absence of any structural wood. It's about clearly labelled electrical panels with ship grade durability. It's about integral tanks that create a double-bottomed hull for safety. It's about installing the finest equipment with the best warranties. Go on... Take your time. We know you'll be impressed by the Bravo 78. 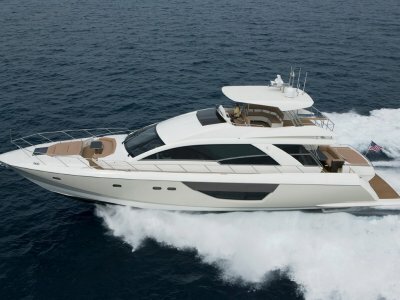 Take time to poke around the Bravo 78... And we mean open the hatches and peer into hidden corners. You'll begin to understand what Cheoy Lee means by "superior construction". The hull, deck and superstructure are resin-infused multi-axial E-glass with foam corling, carbon and other reinforcements in critical areas. This method is continued through the internal bulkheads and cabin soles creating a light but incredibly strong monocoque structure. Unlike other builders, we use no structural wood in the Bravo 78, so there is never any danger of rot weakening any structural component. No wood. At all. Sight down the hull: it's a perfect mirror finish with no bumps or hard spots. That's because we put in the extra hours making our fiberglass work absolutely perfect. And that's a sign of quality you can see.